Since God could speak into existence the universe, and since God knows our names and the number of the hairs on our head... surely we know that we can go to him for our help. 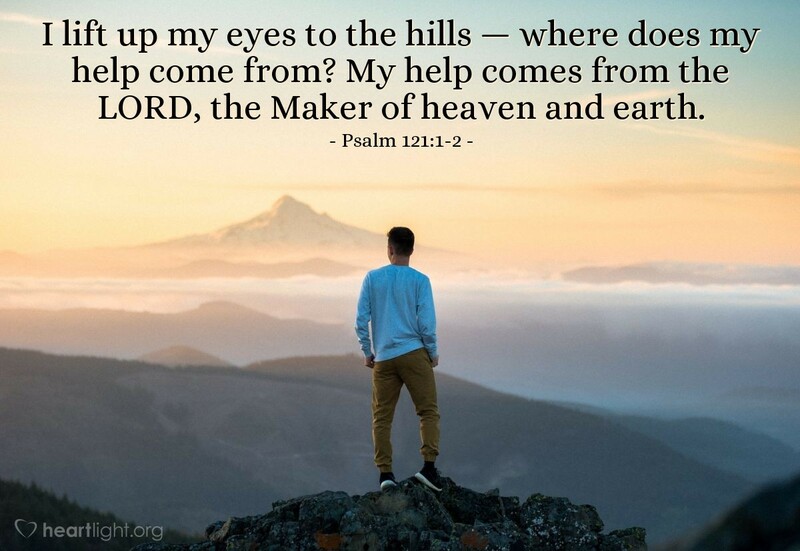 Let's lift up our eyes and our hearts to El Shaddai, Lord God of the Mountains and know the Almighty sees our needs, hears our requests, and cares about our hearts. Holy and All-powerful Abba Father, I do look to you for help. You are the one true source of redemption, power, comfort, encouragement, hope, and excellence in my life. Please give me the wisdom to know your will and choose your will for my life. Thank you for being faithful through the ages to your people and throughout my life to me. In Jesus' name. Amen.